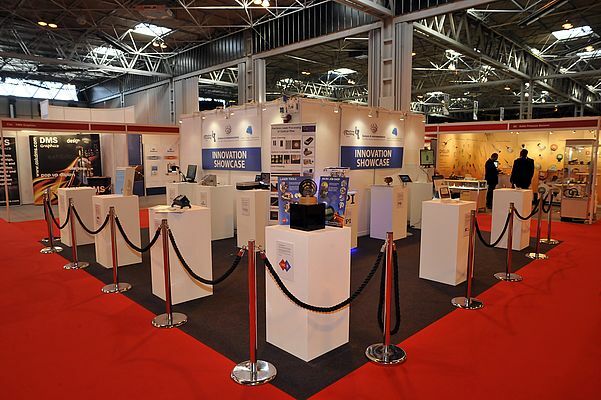 Sensors & Instrumentation for Test, Measurement & Control, the UK’s only national sensors event, will take place in Hall 1 at the NEC Birmingham on Tuesday 26th and Wednesday 27th September 2017. Supported by leading journals, institutes and groups in the industry and organized by industry professionals, Sensors & Instrumentation is a dedicated exhibition of the latest products, technology and solutions from market-leading suppliers. The last two Sensors & Instrumentation shows have provided a highly targeted and engaged audience of 3,330 visitors. Visitor profiles include: Buyers, Specifiers, Design Engineers, Engineers and Technicians. Exhibitors of the upcoming edition include: Binder, Bronkhorst UK, Dewesoft, EA Technology, Fischer Connectors, Gantner Instruments, Huba, Infratec, Innovative Sensor Technology IST AG, Jumo Instrument Co Ltd, Keller, Korea Railroad Research Institute, Lighthouse (UK), M+P International, Meggit Sensing Systems, KDP Electronics, Metasphere, Michell Instruments, PR Electronics, Pressure Sensor Limited, Sensor Technology, Shawcity, Techni Measure, Visual UK, Yokogawa UK and many more besides! Exhibitors will also have a chance to showcase their products and solutions to a dedicated audience – live on stage – as part of the fully interactive and brand spanking new feature area, Connecting Industry L!VE. It will bring together leading suppliers from the many different sectors of manufacturing and provide design, mechanical, maintenance, systems and electrical engineers with the perfect opportunity to see the latest products, services and solutions in person and in one place. The Live Demo Stage will be the centerpiece of this new event where exhibitors will have the opportunity to show the audience what they can offer via live technical product demonstrations. New for Sensors & Instrumentation is an exciting Drone Zone Demo Area, where real life applications are possible with advancing drone technology. Visitors will be able to witness first-hand the agility of drones during technical flight demonstrations through obstacles in the Drone Zone, as well as presentations from individuals and organizations selected for their expertise in drone technology and industrial applications.